What the? Can you believe it? 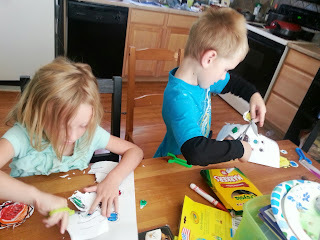 We started our space unit today for unschooling. I hope you Pin my awesomeness. Hahahahah. Just kidding. I'll do it myself. Hahahahaha. I'm hilarious. Anyway, I got my ideas from many people which is mostly the purpose for writing this blog. I'm thankful for the resources available to me. A lot of other women and men have already done the hard work. I just get to use their ideas. Somebody that I used to know (get the reference? It's a song), recommended this blog to me. 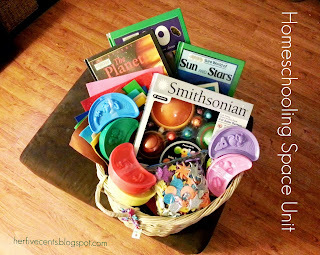 I read a few posts and shared it with another friend who needed some validation on the unschooling. I told her that this girl kind of makes me feel like a rockstar for choosing to homeschool. It's a good decision for us. I got a lot of my ideas from this blog. I hope you don't go there because she makes me look bad. lol. I'm grateful I found it though because I was able to put together several of my ideas from her week long unit. The kids woke up to this weeks basket of fun. There's moon dough, felt, books from library, stickers, beads, and markers, paper, etc. 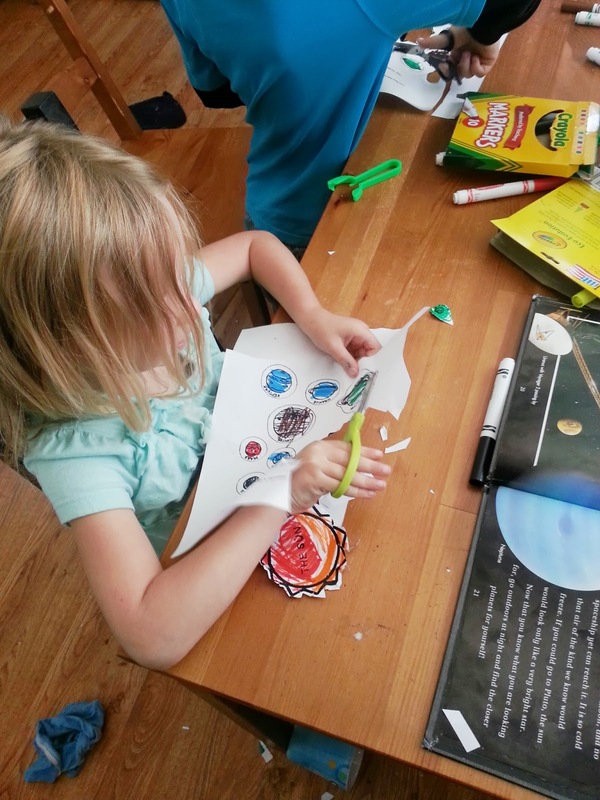 We started by reading a few books from the library on the basics of the solar system. That there are planets, they have names and moons, and suns and stars. 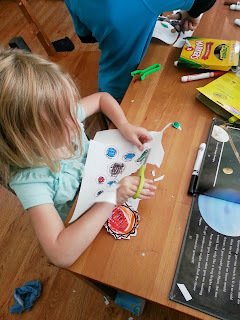 Then we did a worksheet activity that had the planets on them. They colored them, cut them out, and pasted them in order on black construction paper. And now I can't find the place I got the worksheet from. Grrr.... Let me get back to you on that. That was it for today. It took a good 2 hours or so. We spent the rest of the morning doing chores, and playing with each other. Oh, did you know that most materials don't have the updated news that Pluto is no longer a planet. Makes me so mad. I'm part of this group on Facebook called, "When I was a kid, Pluto was still a planet." haha. I haven't taken a picture of the final product. It was enough just to get these pictures. Now, don't get me wrong. This day was not full of bliss and happiness. We had ups and downs and it was hard. Harder than I'll admit. But it was good. And I'm gonna keep going. I'm so excited for this journey. Do you homeschool? Do you use a curriculum? If so, which one? I have several friends who homeschool. I admire them, and you, a great deal. I could never do it (well, maybe if we got stranded on a desert island and I had no choice, but even then probably not). I love my kids. I'm a pretty smart person. But I long for the first day of school with a burning ferocity! Even now, when they're teens and older, I can't wait. I need the break. I need the alone time. I wish you much happiness and success with your choice. I hope you find your rhythm and maintain your sanity. May you be blessed with an increase of energy and patience. You go, girl!